The inclusion of civil society in efforts to defuse the South Sudan crisis has so far been fraught. The parties to the conflict (see our recent report South Sudan: A Civil War by Any Other Name) all have their own ideas about what civil society is; and each party tends to believe the most legitimate civil-society representatives are those that think just as it does. Most recently, unresolved questions of what civil society is and what role it should play helped cause the suspension late last month of talks between the major warring parties. The regional precedents are not encouraging. Darfur civil society came out from the Doha process (2009-2011) considerably weakened by both internal divisions and external manipulations. Lessons should be learned from both this and the earlier (2002-2005) Comprehensive Peace Agreement (CPA) processes to avoid repeating similar mistakes. How “˜civil’ is civil society? In early June 2014, the Intergovernmental Authority on Development (IGAD) – East Africa’s peace and security organisation – invited notionally independent South Sudanese actors to a “multi-stakeholders symposium” meant to initiate an inclusive phase of IGAD-led peace talks in Addis Ababa. The symposium participants, including civil-society organisations, religious groups, political parties and formerly detained political leaders, nominated 28 members (seven for each group) to represent wider South Sudanese interests at the peace talks. 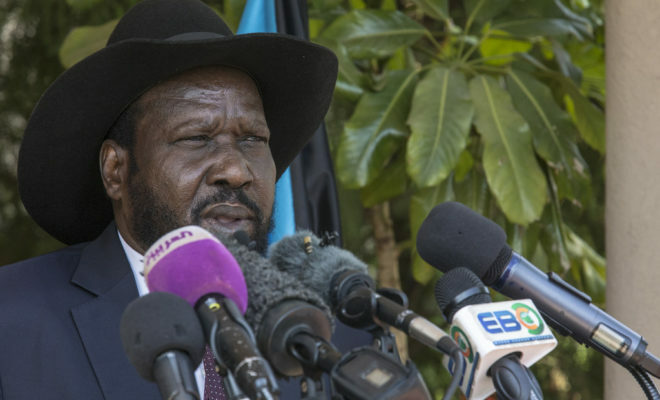 Those calling for civil-society inclusion in the talks hope unarmed South Sudanese can bridge divisions among armed parties and local communities now embroiled in a war that had a dangerous ethnic dimension from the start. IGAD’s inclusion of civil-society representatives is based on the widely held belief that they are broadly pro-peace and less ethnically divided and “˜political’ than others – but still able to influence armed actors. These were the same reasons civil society was afforded a large role in the Darfur peace process; however, Darfurian civil society proved to be politicised and ethnically divided. (See our recent report Sudan’s Spreading Conflict (III): The Limits of Darfur’s Peace Process.) South Sudanese civil society has shown similar tendencies and community-based leaders have strongly expressed their support for various armed actions. Nevertheless, Darfur’s experience also proved these voices must be heard if the peace process is to be accepted on the ground. It showed, too, that inclusion should go beyond the usual civil-society organisations (CSOs) – often funded and even created by external donors – to include groups and individuals with more influence on the ground, such as community and religious leaders. Civil society is generally defined as “everything between the state and the family”, and is also often thought to exclude the business and political (in the strict sense) worlds. International mediators for the Darfur conflict accepted a broad conception of civil society and made it an umbrella for six overlapping categories: CSOs, traditional leaders, IDPs and refugees, women, youth groups, and nomads. Ideally, civil society should include key constituencies not fully represented by the (armed) negotiating parties. For example, in Darfur, abbala (camel-herding) Arabs were not well represented in the government’s delegations, despite being the group from which militias were largely recruited. Civil-society inclusion in the 2009-11 Doha process was aimed at involving them under the label “nomads”, but their principal leader, Musa Hilal, was under UN Security Council sanctions and unable to join talks. In South Sudan, mediators will have to ensure that Nuer civilians and “white army” members who took up arms in reaction to targeted killings of Nuer in Juba are somehow included in talks. This will not be easy – and will stretch the notion of civil society – as these elements are not fully represented by the South Sudan People’s Liberation Army-in-Opposition (SPLA-IO) though many have fought on its side. These and other armed “˜civilian’ groups not fully aligned with one or other of the main parties will have to be represented if peace is ultimately to be implemented on the ground. Civil society’s role in the CPA negotiations between the Sudan government (the ruling National Congress Party, NCP) and Sudan People’s Liberation Movement (SPLM) was limited. Both the government and the SPLM managed not only to circumscribe civil society’s role but also to co-opt some of its members. The SPLM, in particular, in an attempt to portray the NCP as exclusionary, managed to present itself as accommodating both South Sudanese “grassroots” representatives and the more established northern CSOs. And southern civil society joined the SPLM-led government of Southern Sudan en masse following the signing of the CPA in 2005. Most northern civil-society groups argued their exclusion proved that the CPA’s declared aim – the democratisation of all Sudan – was made in bad faith. Darfurians particularly resented that the SPLM’s inclusion in the 2005 “Government of National Unity” came at their expense; and indeed the CPA later limited Khartoum’s ability to make power-sharing concessions to opposition groups beyond the SPLM/A. The CPA process became the model for subsequent Sudanese peace negotiations, and when the Darfur talks started in 2003 they were not any more welcoming of civil society than their predecessor. Yet the 2006 Darfur Peace Agreement failed in large part because it was rejected by the civilian population, a risk the ongoing South Sudan talks also face. As a result, subsequent mediation efforts leading to the Doha process have re-emphasised the important role of civil society. As the Darfur mediators became increasingly committed to civil society’s inclusion, the parties created their own CSO-like organisations, including governmental NGOs – “GONGOs” – and rebel-affiliated unions in displaced-persons camps. The Liberation and Justice Movement (LJM) – the rebel umbrella created for the Doha negotiations – went further and appointed one of the most active civil-society representatives, Dr. Tijani Sese, as its leader. Mediators then assumed civil society would naturally support the LJM and any agreement it might sign. This assumption proved largely wrong. Civil society’s neutrality was also diluted by the government’s successful attempts to conflate civil-society representation with that of locally elected officials (mostly from the NCP). Such efforts increased the number of participants at the three civil-society conferences in Doha (from 170 in November 2009, to 400 in July 2010 and 600 in May 2011), which led to a marked decline in their meaningful contributions. And, rather than keeping civil-society representatives continuously engaged, the mediators mostly brought them in when government-rebel talks were blocked or delayed. In May 2011, in an attempt to manage an increasingly unwieldy civil society, the African Union-UN joint chief mediator, Djibril Bassolé, decided to limit further consultations to a final All Darfur Stakeholders Conference. A communiqué then claimed that the 600 civilian representatives had “endorsed” the Doha Document for Peace in Darfur (DDPD), a document written by the mediators and not seen by the civil society representatives. It was signed by the government and the LJM six weeks later. Dr. Sese then became the head of the Darfur Regional Authority (DRA), in which other civil society members (including intellectuals and diaspora representatives) joined former armed actors – at great cost to their supposed neutrality. The Doha mediators’ fast-tracking of the consultations over the agreement robbed civil society of its stake in the DDPD and therefore of its motivation to sell the deal back home, as well as to persuade non-signatory rebels to join the deal. Since then, some civil-society representatives have participated in meetings sponsored by the UN-African Union peacekeeping mission to Darfur (UNAMID), putting them at odds with rebels excluded from further talks; in March 2013, civil-society representatives en route to a UN-sponsored conference were kidnapped by rebels. In addition to the Doha process, Darfurian civil society contributed to parallel processes within Sudan itself. In 2008-9, the African Union Panel on Darfur (AUPD), led by Thabo Mbeki, launched broad consultations on peace, justice and reconciliation. (An AU Commission of Inquiry has been launched in South Sudan with a similar mandate.) The AUPD consultations were supposed to be followed by talks, involving civil society and elected officials, which were blocked due to lack of security and freedom of speech in Darfur. In the meantime, different local-level reconciliation conferences never stopped taking place on the ground. The most visible ones, attracting government intervention and international support, often failed; others, more confidential and often crossing the line between government and rebel areas, seemed more successful, though similarly at risk of being spoiled by broader insecurity or well-intentioned but poorly planned international efforts. South Sudanese civil-society representatives face similar risks of co-optation, by the parties or the mediators, and of physical danger if they fall foul of armed groups. Unfortunately, most international organisations lack the contextual understanding necessary to ensure they do not expose civil-society actors to such risks. What role in South Sudan? A rushed selection process at the “multi-stakeholders symposium” for South Sudan, held from 7-9 June in Addis Ababa, exposed internal divides and external manipulation. Civil-society groups who felt excluded or under-represented accused the government of spoiling the process by having brought its own “civil society”; the opposition backed those claims, also making clear it, too, wanted its own “civil society” (based in rebel-held areas, UNMISS camps or in exile in foreign countries) to be represented – though only in an observer role, as it remains unwelcoming to other stakeholders’ more direct involvement. From 20-22 June, the government, former political detainees and the opposition announced a boycott of the negotiations in protest over their lack of inclusivity, after which IGAD decided to adjourn the talks. Beyond the “civil societies” aligned with either the government or the SPLM-IO, more neutral coalitions have also appeared increasingly divided along political and ethnic lines. Civil society, before it is fully brought into the IGAD mediation process, needs not only to convince the warring parties of the intrinsic value of its contribution, but also to build some consensus internally and with the mediators, not necessarily on the talks’ substance but at least about civil society’s role. Until the June symposium, civil-society representatives in Addis Ababa were limited to lobbying mediation and negotiating parties. Some would be satisfied obtaining an official observer role at the talks. Others want civil society to act as a full participant and separate party to the negotiations – preferably independent of the similar role the now former political detainees want to take. IGAD’s plan is for civil-society representatives, as well as former detainees and political parties, to be fully included in the political negotiations (excluding talks on cessation of hostilities and ceasefire), while religious leaders would be only observers. This has been accepted by the government but not by the SPLM-IO, which wants others to be included only in “a consultative manner”. Numbers do matter: the civil-society delegation needs to be big enough both to avoid further claims of unfair selection and to resist co-optation of individual members by the parties. Either way, civil-society representatives must, like the warring parties, provide substantive input to the mediation’s outputs – from the basic framework agreement to, ultimately, a new constitution. Certainly civil society’s participation should not wait for a national dialogue and reconciliation process, whose promise might be as fragile as the CPA’s pledge for democratisation of the Sudans. Jerome Tubiana is the International Crisis Group’s Senior Sudan Analyst. This article was originally published on the ICG website.